The Four Seasons Hotel in Monaghan offers first class accommodation, ideal for corporate guests and leisure breaks. Check out our Special Offers! The extensive Leisure Facilities are award-winning and offer every service to relax and rejuvenate you. You may choose from our two dining options, the Still Bar and Range Grill, both offer excellent value in fresh local food. If you wish to stay on Saturday evening our Avenue Restaurant is open, you can enjoy wholesome food with a contemporary twist. Enjoy some of the local attractions in this beautiful undulating countryside and surrounding areas. Monaghan is home to some of the most picturesque lakes and hills in the world, ideal for fishing, walking, horseriding and clay pigeon shooting. The Four Seasons Hotel is an excellent place to stay and play for all those interested golfers out there. The newest golf course in the northern half of Ireland is Concra Wood which is just 20 minutes, you can book our courtesy car, also in just 10 minutes you can play at Rossmore Golf Course. There are 3 other courses within 30 minutes from the hotel. Monaghan is home to Rally School Ireland which welcomes thousands of guests from far and wide each year. The Hotel offers elegant suites, extensive gardens and superb banqueting suites which can be booked exclusively for your special day. Culinary excellence, first class accommodation, professionalism and a uniquely friendly atmosphere has made the Four Seasons Hotel the perfect wedding venue. 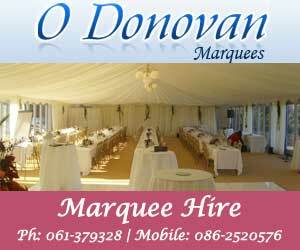 "wedding venues ireland night club ireland hen/stag parties monaghan hen/stag ireland accommodation/hotels ireland leisure breaks monaghan"